For some odd reason, we didn’t include John’s parents in this picture! I totally didn’t even realize until later that we didn’t get a picture with them, too! 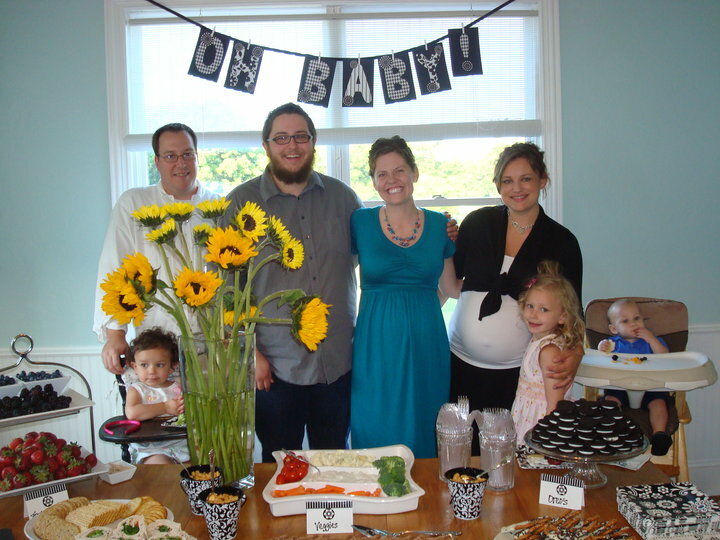 But, here we are with the six Zimmerman’s (inc. baby Rivers in utero!). They hosted this Texan shower at their beautiful new home! The Phillips Trio…which, ps, did someone put a basketball under my dress?! John was a groomsman in a good friend’s wedding this past Saturday (the 19th) in Broken Arrow, Oklahoma. So, we decided to fly into good ol’ DFW ahead of time and spend some time in Texas visiting family and friends! 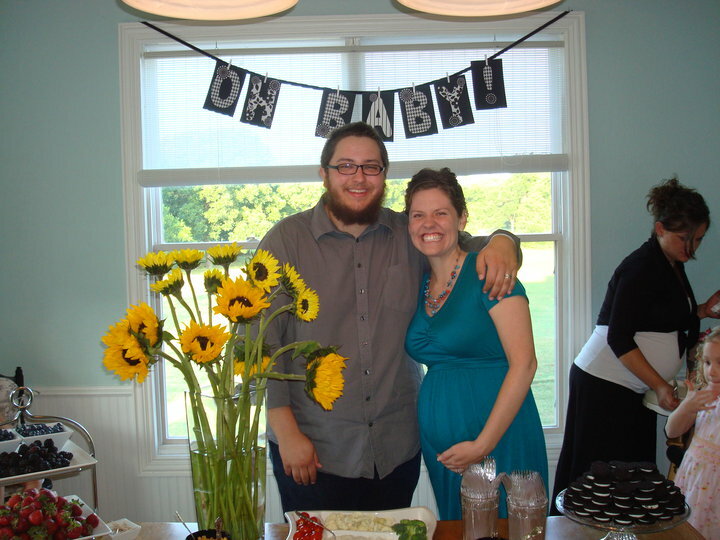 John’s family threw us a baby shower on Thursday evening, the 17th. It was so great to have lots of family and friends all confined in one space! It’s always tough to see everyone you want to when you have a short trip, but this way, we were able to see lots of people in one spot. For anyone that has ever stepped inside our living room, dining room or kitchen, they know we are huge fans of black and white decorations. There’s just something about the boldness and contrast that’s so pretty. Well, all of the decorations and food at the shower were black and white themed! Including a ridiculously yummy cake that was chocolate on chocolate, mmm. I may or may not have had several slices of leftovers the days following the shower :o) It was all so pretty! AND, we got to keep the leftover, oh-so-pretty napkins to use in our own kitchen (they match great!). This shower was also a gift card shower, because let’s face it, it’s near impossible to lug stuff back on airplanes these days. Although, a few people did give us some small gifts, so that was fun to open! The most favorite being, “The Jesus Storybook Bible”. I have given this Bible out as gifts after first discovering it via this awesome blog, Bring The Rain. 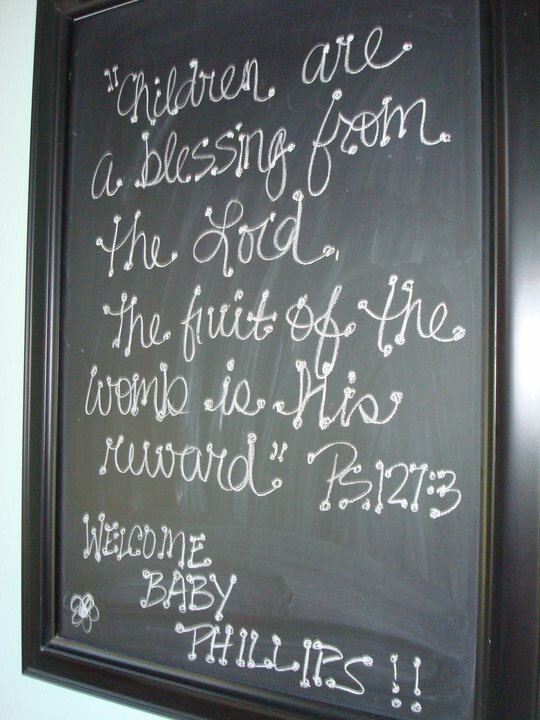 And, I have been meaning to reorder some copies for other people and especially for out beautiful baby on the way. SO grateful to have been given this gift at the shower. Everyone needs to look up this Bible. I can’t ever put it down. It does such an amazing job at showing how each story in the Bible points to Jesus. Just like it says on the cover, “Every story whispers His name”. So very true and it is easily shown all throughout this amazing Bible. Once again, we have been overwhelmed with gratitude toward our family and friends. Even if I seemed a little disheveled at this shower (turns out I sprained a rib which then caused a pulled muscle, double the pain! Yikes! So, I was a little out of it), I could not have been more fulfilled to see so many people love on John, myself, and this little baby. Especially since we don’t get to visit Texas as often as we’d like. I can’t even explain how much we love this baby and are so thankful to have yet another chance to celebrate the life God is growing. Thank you, thank you, thank you!! I love the black and white too…hey wait, wasn't it just yesterday that I was putting on a black, white, and HOT PINK shower for you!?! Woooweeeeeee, times they are a-flyin'! Love you.